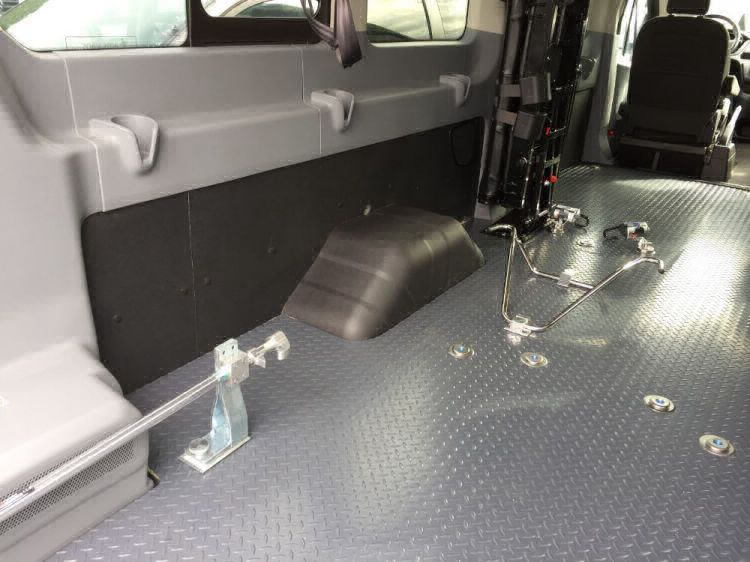 This 2017 Ford Transit van with wheelchair lift has been crafted into our side entry floor plan option #4. This amazingly versatile floor plan is ideal for NEMT applications. 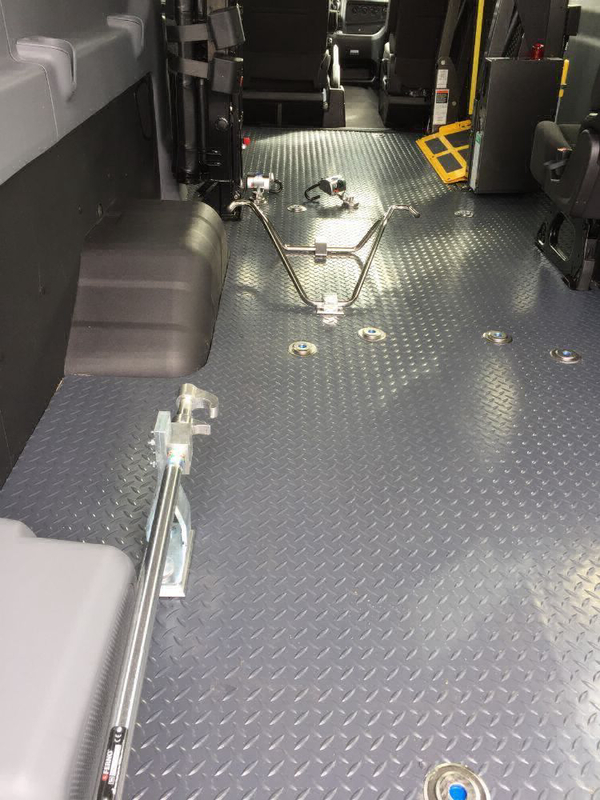 It allows you to transport up to 5 ambulatory passengers. In addition, you can transport up to 2 passengers in wheelchairs, or one passenger on a stretcher. In addition, this particular Transit comes equipped with a stretcher kit already installed stretcher NOT included and a 2 passenger folding jump seat that allows for a variety of passenger transport options. Transit Conversion - E - Braun Model# NCL919IBHB-2, Serial# 18071600677.